Journal publishing is by far the most important and the ultimate part of any successful research work. The most important factor is, that the fate of months and years of excruciating research work will be judged based on the quality and crispness of the paper published based on the research. Hence a lot of your resources- both mental and physical need to be expended in a stream lined fashion to publish a paper which is fool proof in all aspects. Paper Publication has gained greater importance in the recent times with the journals implicating strict standards, high defined plagiarism checks and much more. We ensure the Staff / Student our complete supports & technical assistance during the entire course of the Journal Publication, starting from the Problem Statement definition & Identification till the Certificate Issuance of Paper Publication. Here at LeMeniz Infotech we have an exclusive team of specialists who are well versed in this genre. We will guide you in identifying the back ground problem, analyzing it, making the literature survey, identifying the quality journals with impact factor etc. We assure you of your research work getting published in a journal having adequate impact factor. We at LeMeniz Infotech equipped with the state of the art technical views to provide you a pathway for International Conferences, complete guidance, and support for patented projects & Idea as well as it’s Filing with technical validations in various disciplines. We assist Research Scholars UG/PG Students in their Research areas/projects/ Publications in all major domains. 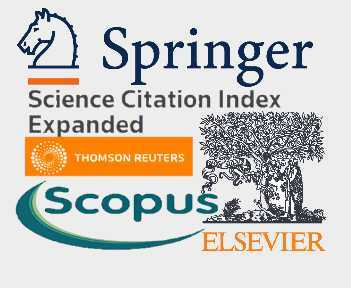 We support for paper publications in UGC approved and other peer-reviewed journals like Scopus / SCI / IEEE / Elsevier / Springer / Web of science Indexed and other high impact factor journals to match your level of expectations according to Your University Standard/Norms. The Charges for the Publication varies according to your requirements. You can mail us the specific Journal or Conference, in which you need to publish, so accordingly, we provide you the cost and duration details.